and vegetarian meals located 30 minutes north of Spokane, WA. You are welcome whether you are a seasoned practitioner or new to Heart-Mindfulness/Insight Meditation. We will flow between meditation in stillness (seated, standing or lying down) and in motion (walking meditation and qigong). Meditation practice instructions will be offered with time for sharing and questions in our circle as we awaken The Lion’s Roar to trust and choose open-hearted awareness as we ride the waves of retreat life. Throughout the retreat, we will honor Noble Affectionate Silence aside from structured dialogue in small practice discussion groups. Living within silence invites us to let go of social conversations and our familiar roles and risk opening to what emerges as we release attachment to “being the somebody we think we are.” As we gradually attune to present-centered loving awareness, the temenos of silence also soothes and settles our body-heart-mind and creates a shared space of sangha/beloved community. We will also be held by decades of spiritual practice at Kairos made possible by the dedication and Wise Hearts of Sister Florence and Rita. Many retreatants also experience support from the elements of nature and the animal, plant and mineral beings of Kairos. Please know that your presence and practice will become part of this sacred place for others in the future. 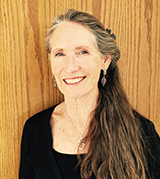 Dori Langevin, Psy.D, is a graduate of the four-year Spirit Rock & Insight Meditation Society teacher training program. She began formally teaching the Buddhadharma & Meditation at Tara Brach’s invitation in 2003. Dori loves sharing the Buddha’s radical teachings and practices which empower us to live with wakefulness, compassion and wisdom in the midst of our messy, yet radiant lives. She considers herself a devotee of the Sacred Feminine in all Her many guises and grounds her teaching in embodied presence. She lives with her husband, Ted, and two cats, Karuna and Sati in Spokane Valley. 1) Registration fee covers your room & board and administrative expenses ($215 for room; $147 for camping). Checks will be deposited on August 7. Pay Pal is available for those who wish to pay by credit card and includes fees. Room $222 PayPal US; $225 PayPal Int’l; Camping $152 PayPal US; $155 Int’l). 2) Dana is the “you choose” sliding scale of $150 to $350 for the retreat teachings and guidance which you will offer directly to Dori on Sunday morning (check or cash). Because of the generosity of some retreatants, partial scholarships for registration may be available, especially for those who could not attend otherwise. Please contact Dori for details. If your place is filled from the wait-list you will receive the August 7 refund after the retreat. No refund is available if you leave the retreat early because Dori pays Kairos full room and board costs for all retreatants. You will receive an email upon receipt of your registration and the Information Letter email when you are accepted into the retreat. Please Note: There are no elevators in any buildings. Lodging is assigned on a first-come, first-serve basis balanced with physical needs as indicated on your registration form. Please snail mail the signed registration form with your check or PayPal receipt; postmark will determine where you are in the queue for your lodging request. Kairos has 13 single rooms. In order to make room for 14 or 15 people to attend the retreat, registration priority will be given to those who are willing to camp on the property or share lodging with one person in the large A-Frame. Even though Kairos does not have a reduced room & board rate for sharing a room, your willingness to share a room is generosity-in-action which will allow another person to join the retreat. Main House with Dining Room has four rooms (two on entry level floor and two downstairs; there are full baths on both floors. Meditation Hall Building has two rooms upstairs and two full baths on the ground floor. There are seven single-room dwellings: Four A-frame Cabins and three Hermitages (renovated single-person trailers) situated in various places on the property which are more private and quiet. Some require uphill walking although two of the hermitages are very close to the main buildings. All have electricity and heat, but no running water. Kairos has excellent quality well water supplied for drinking, brushing your teeth, making tea. All have “honey-pots” for night-time toileting which you will refresh and return to your room on Sunday morning. Tent campers need to bring their own towels, bedding and tent. There are no electric hook-up capacities for those with campers trucks. Bathrooms/showers in the Main House and the Meditation Hall building are open to all retreatants. Aside from unforeseen emergencies, retreatants agree to remain onsite for the duration of the retreat, rather than leaving and returning which is disruptive to meditation practice for yourself and others. Please clear your calendar for the five days. If you have any questions call Dori @ 509-688-7772. If you feel confident that you want to join us, please complete your registration form. Please retain a copy of the flyer and your completed registration form.